Simon here with our latest updates. 1) Danza-Rama is back! Our biggest party for the year! November 9th is the day to put in your diary! The date for Earlybird tickets ($120) will be extended to Sept 9th (not 6th as advertised on the flyer). You can order them right here on our online store! 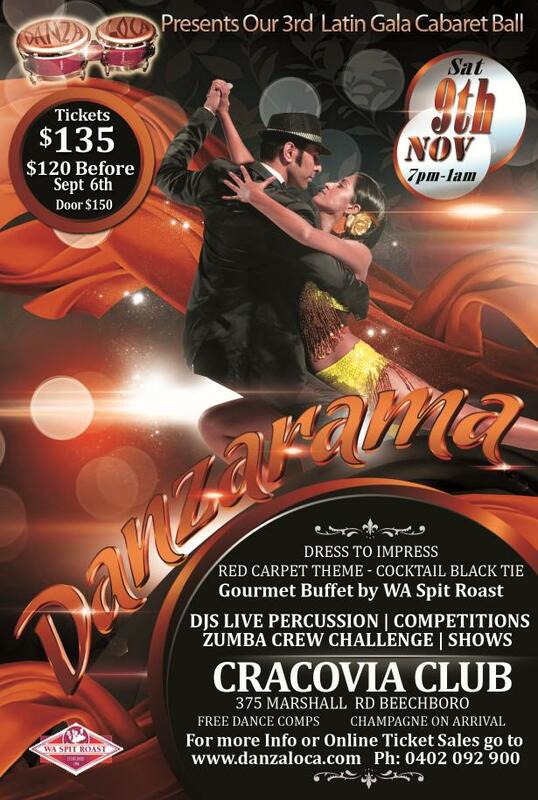 All details are on our website right here for 2013, and we have created a Facebook event “Danza-Rama 2013 with Danza Loca” page you can join too! For those of you who “don’t Facebook” I’ve also included all the details right here, so READ ON! 2)	Bali Salsa Holiday (Sept 12-16): so far only 7 of us going, but it’s still going to be a great weekend for all. Still not too late to book if you want to come for a great Tropical Salsa holiday!! Thanks for taking the time to read this newsletter. Please forward it to anybody who might be interested. For more info on classes, events or private instruction, contact us!.